Hudson and Abella are brother and sister who were both diagnosed with very rare, cancerous brain tumors; Hudson at age 10 months and Abella at age 4. 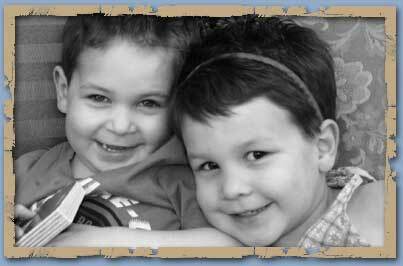 Sadly, Hudson lost his battle with cancer in June 2008 and his sister now continues her fight. These precious children have faced an unimaginable battle and all along they have taught us the definition of true courage and bravery by accepting this challenge no child should ever face. Soccer For Hope is a non-profit organization founded by Oliver and Jamie fourteen years ago to assist children with life threatening illnesses. It has been driven by their goal to give back to the people who saved Oliver's life while raising awareness in the community. As their own two children have been afflicted they realize even more the importance of raising funds to find a cure for pediatric cancer.